The five-months pregnant woman, Sandra Amezquita, was trying to intervene in the arrest of her 17-year-old son early Saturday morning in Brooklyn, police said. Residents told WABC that Amezquita is nearly six months along. Cops from New York City’s 72nd Precinct had spotted Amezquita’s son, 17-year-old Jhohan Lemos, with a clip – one often used to hold a knife – on top of his pants pocket, and a corresponding bulge below. The NYPD officers were arresting the teen for carrying an illegal knife in front of a bar where his parents and family friends were hanging out before coming out to help the teen, the New York Post reported, citing law enforcement officials. 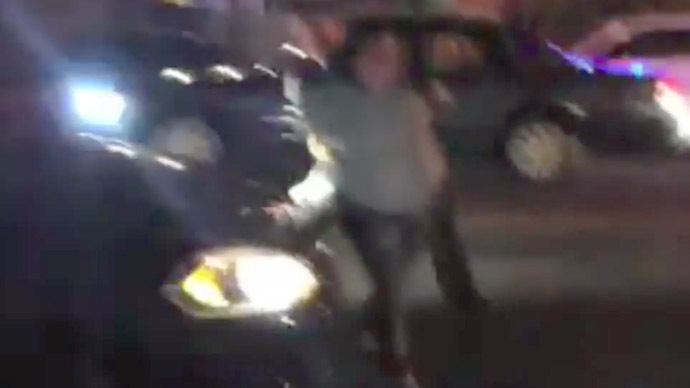 The altercation began around 2:15 a.m., when Amezquita asked police to “stop using excessive force” on her son, family lawyer Sanford Rubenstein said, according to Lohud.